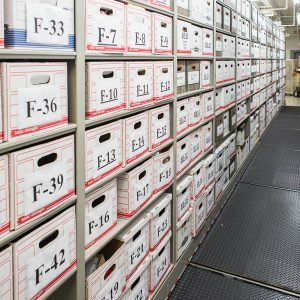 From crime scene to court of law, evidence submitted to the crime lab needs to be accurately accounted for and secured at each step of the journey. 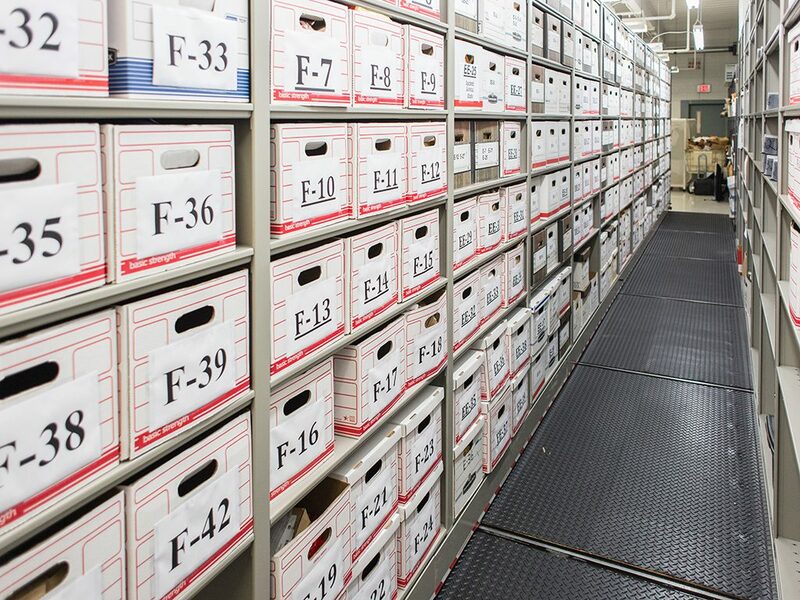 This includes storing evidence — however irregular it may be — in appropriate conditions. 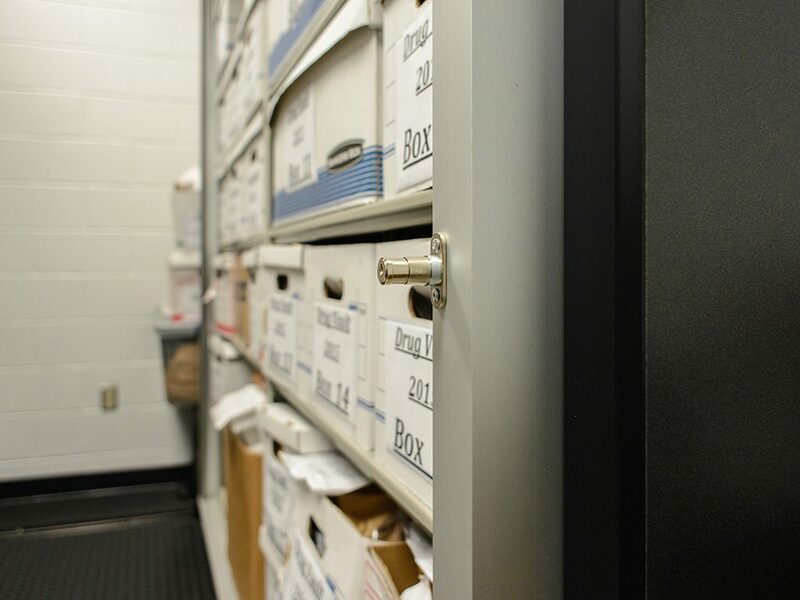 With mobile storage solutions, forensics labs can better ensure consistent, unbroken chain of custody. Forensic labs are required to accurately account for all the evidence submitted, knowing its location, who has handled the evidence, and who has custody along the way. 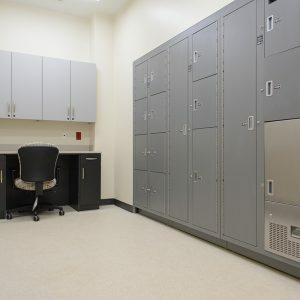 With defense attorneys bringing increasing scrutiny to the means of securing evidence, the conditions in which it’s kept, and the supporting documentation, crime labs must optimize their storage solutions. Yet these same labs are facing increasing caseloads. In 2014, the Corporate Executive Board Company predicted caseloads increasing by as much as 33% on average through 2019. The growth of DNA, digital forensics and drug analysis, and the improved affordability of the technology needed for these procedures, also means a jump in the number of individual tests performed. Meanwhile, the typical crime lab is functioning in a facility that is, on average, 19 years old. 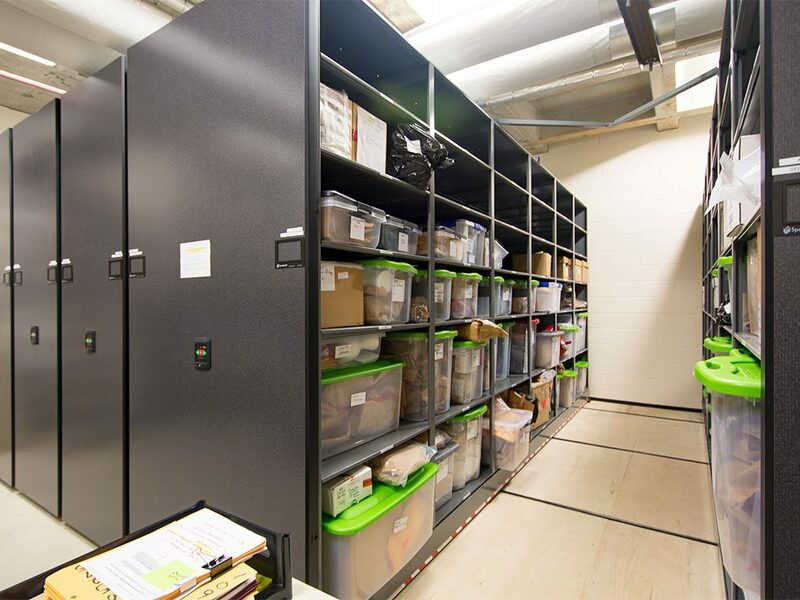 Whether the lab is at the small end of the range (8,500 gross square foot) or large (190,000 gross square foot), bringing the lab into compliance and being able to guarantee uniformity of lab analysis and defend chain of custody is improved with the right evidence storage solutions. 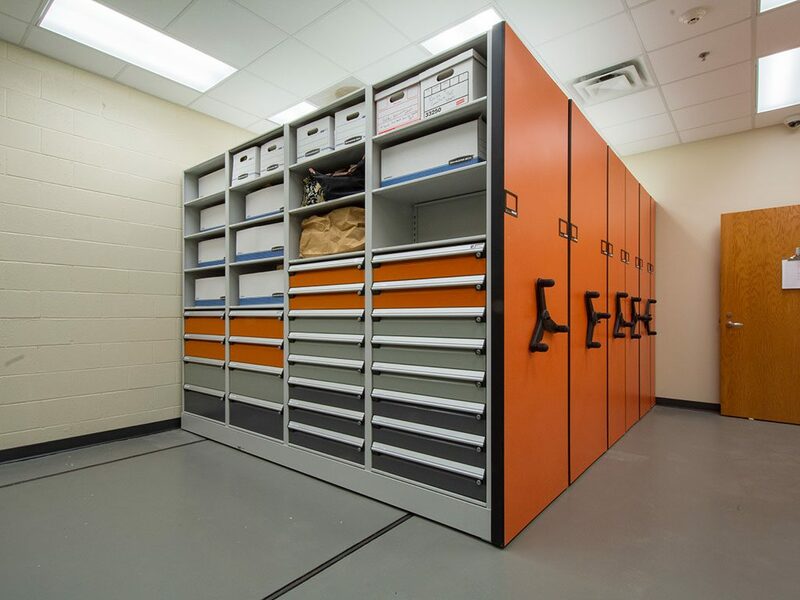 Adapting to the changing crime lab profile can be helped with effective evidence storage solutions. 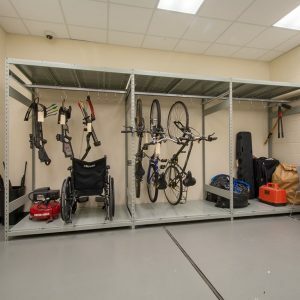 Turning to high-density mobile storage helps the lab find ways to create shared, hazard-free office environments to promote collaboration and contribute to increased findings between sections. 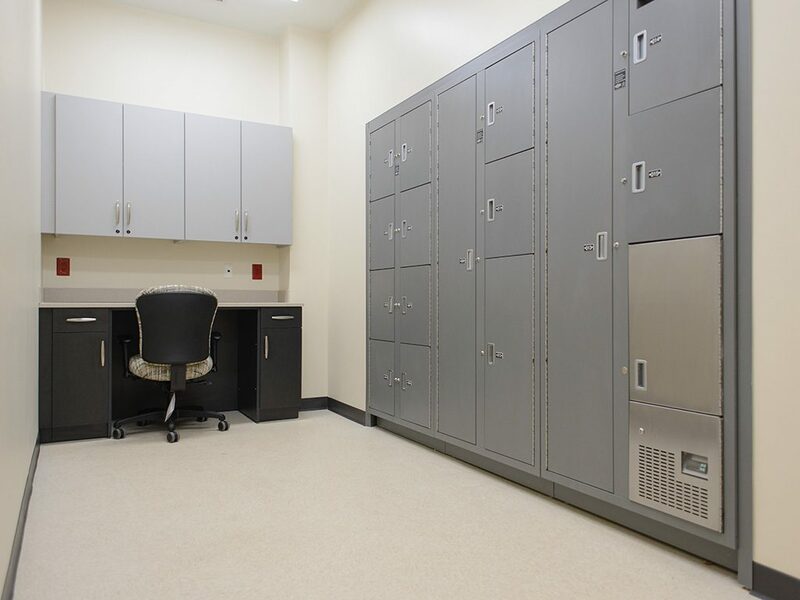 With the right workspace and storage configuration, the lab can create space for individual work and contemplation, support expansion of workplace capabilities, and optimize turnaround of examined evidence. Compliance with universal protocols and standards. 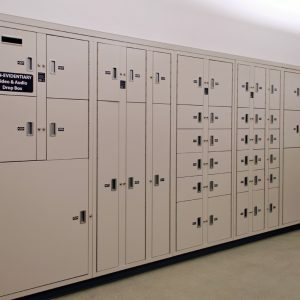 Public safety storage help boost productivity and morale. With a customized solution offering efficiency and security, law enforcement personnel can focus their time and attention on what really matters. 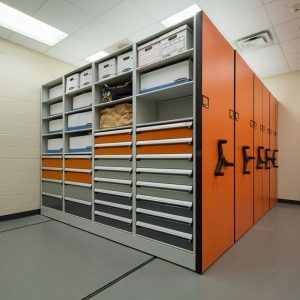 Storage can make a difference no matter how old school or crammed the evidence space may be. 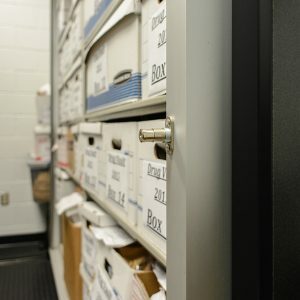 The Knox County Criminal Court in Tennessee kept its evidence stored in a crammed room, with inventory kept on index cards, and only one staffer really knowing where everything was housed. “We needed to do something,” said Mike Hammond, Knox County’s criminal court clerk. 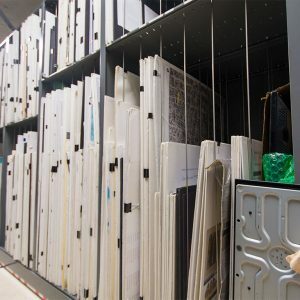 That something ended up being installing a mobile high-density unit taking up just 468 square feet and helping to regain valuable floor space. 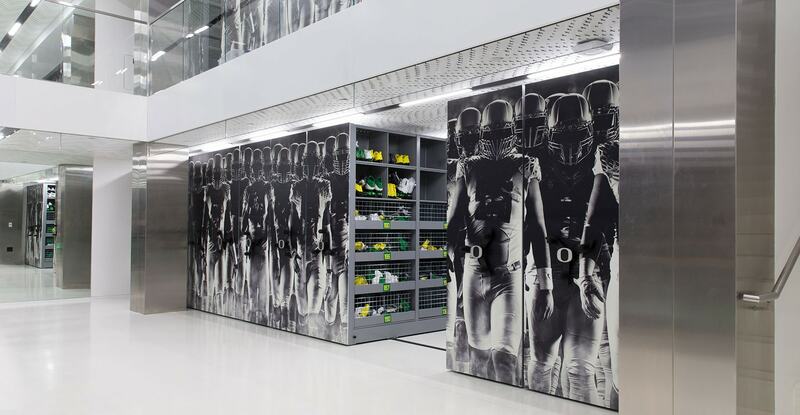 Along with adjustable shelving and hanging rails, the unit also boasted a keypad entry lock and lockable drawers with specialty weapons racks. At the Rockdale County Sheriff’s Office in Conyers, Georgia, things were just as cramped. The lab was even using dorm fridges to house biological evidence. 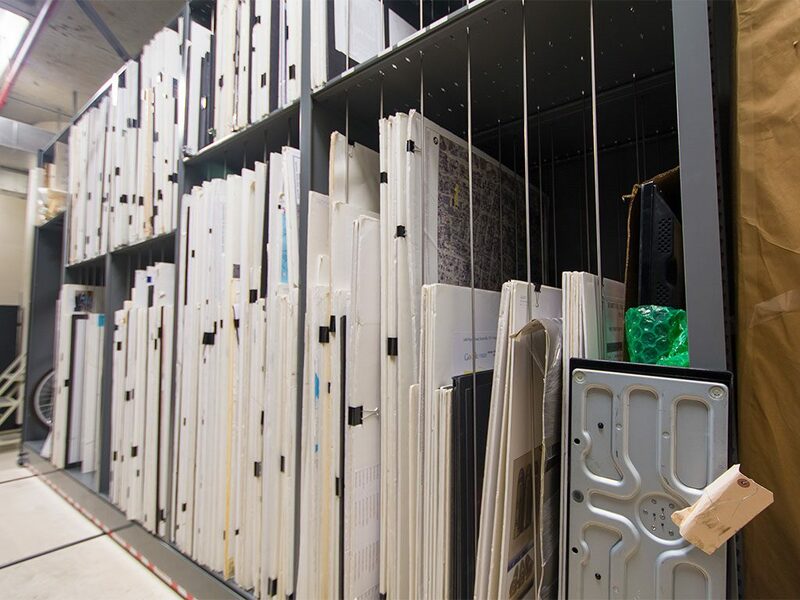 Mixing 4-post shelving with a 42-foot-long powered, high-density shelving system and pass-thorough evidence lockers, the office more than doubled its storage capacity. “It’s definitely made things a lot better,” said Captain Duane Day. Also in Georgia, the Locust Grove Police Department was facing some chain-of-custody issues. Items were logged in at one location, processed in another, and stored in a third. “We just knew it was time to modernize,” said Police Chief Jesse Patton. 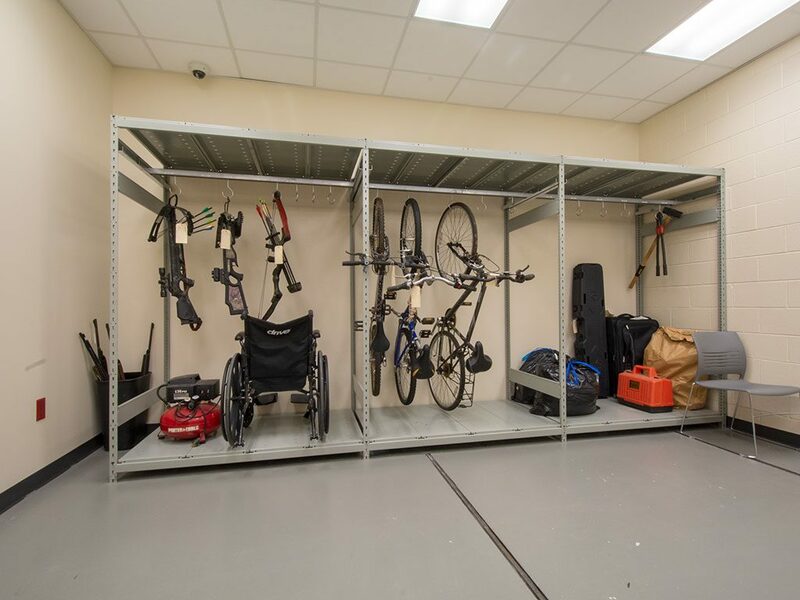 The department added Spacesaver shelving and mechanical-assist high-density mobile shelving, evidence lockers (standard and refrigerated), weapons racks, and personal duty lockers with an eye to streamlining processes and efficient use of space. Another win for Patterson Pope is the Franklin Police Department, in Franklin Tennessee, which is “now recognized as a model police headquarters,” according to Sgt. David Prather. 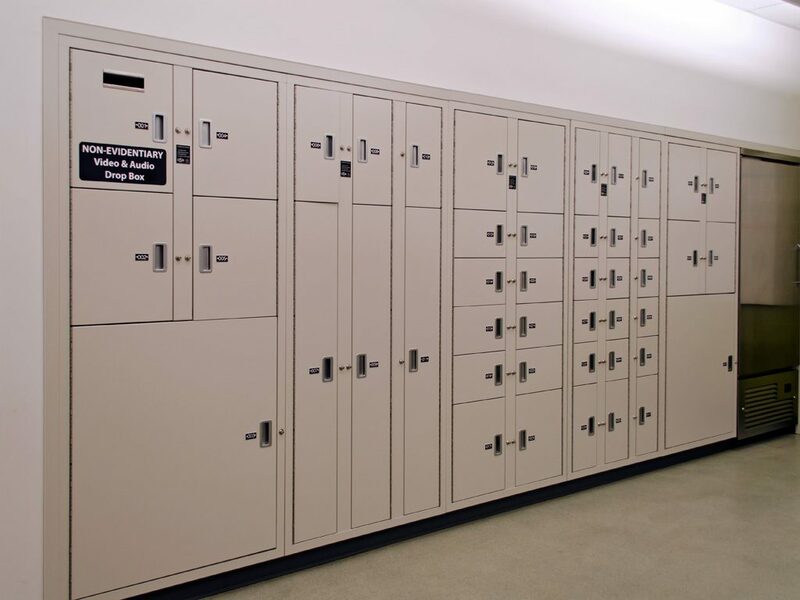 Partnering with Patterson Pope during construction of its new building, the department installed refrigerated pass-through evidence lockers for both perishable and biological items, ventilated lockers for personnel and weapons racks in five different areas within the facility to store rifles, long guns, pistols and assault weapons. 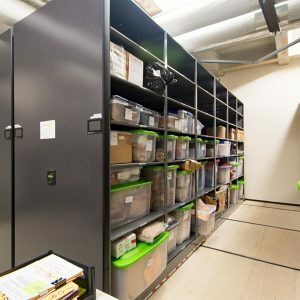 “We never realized how important the storage components would be and what a difference a good system makes,” Prather said. 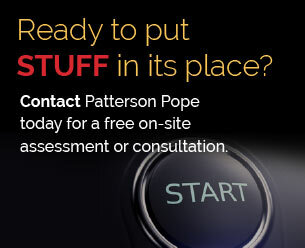 Let Patterson Pope’s experts help your personnel rest assured that evidence is safe and always secure.